The founder and chairman of Alibaba Group, Jack Ma (or Ma Yun), has a net worth of $21.8 billion, according to Bloomberg. Jack Ma is $5.5 billion richer than Pony Ma (or Ma Huateng), the founder of Tencent according to Bloomberg. 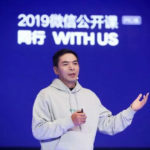 Robin Li (or Li Yanhong), Baidu’s founder and CEO, ranks the third. Alibaba plans to get listed on New York Stock Exchange next month and it may set its IPO value at $154 billion, according to the average estimate of five analysts surveyed by Bloomberg in July. Jack Ma owns 8.8% of Alibaba and his interest in the company is valued at $11.3 billion after subtracting the 1.5% controlled by SymAsia Foundation, his charitable organization.